I am fond of things with different colors. 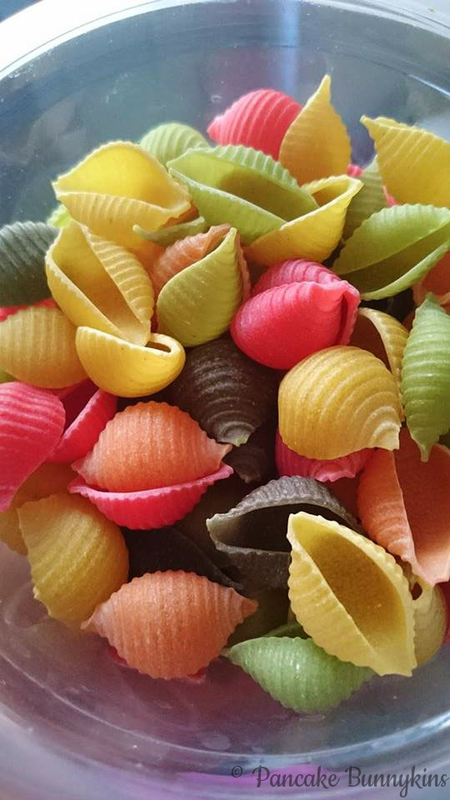 When we went grocery shopping last week, I saw this pack of colored shell pasta, and without second thoughts, I immediately put it in the cart. “Not again! Remember how your pancit turned out the last time you bought those colored noodles.” Complained my Fiancé. Yes, I remember! I bought colored egg noodles for my pancit last time. It looked really gross after I cooked it. Seriously, gross! It was supposed to be cute because it’s made for children’s parties. But no! I explained to my Fiancé that colored egg noodles and colored pasta are not the same. I used the pasta for my own version of chicken sopas! 1. Heat a cooking pot and pour in oil or butter. 2. Saute onion until soft. 3. Add in the chicken and cook until browned. 4. Pour the water plus the chicken cubes. Boil and simmer for 45 minutes or until the chicken pieces become soft. 5. Add milk and reboil. Simmer again. 6. Put in the shell pasta and cook for 8-10 minutes. 7. Add the carrots and green peas. Cook for 7 minutes. 8. Turn off the heat and put in the bok choy. Cover for 5 minutes. 9. Sprinkle with salt and pepper. ***Sorry if they look like little bugs! LOL. 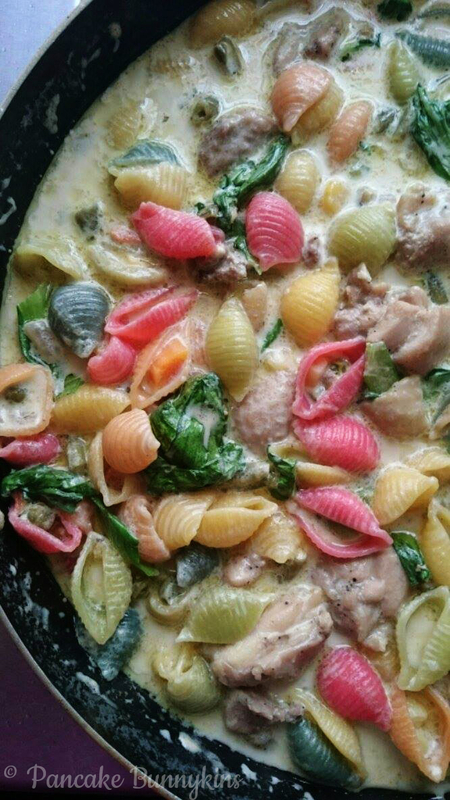 I love multi color pasta! My mom found some striped bowties for me once!